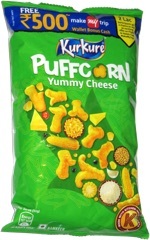 Taste test: These are decent sour cream and onion chips. 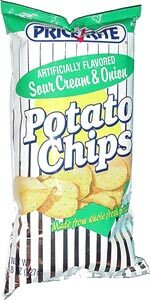 They taste good at first, but if you eat a couple more chips, you realize that they're extremely salty. If you like salt, great, but really, there's a lot of salt on these, and it might get to you after a while. Some people said these were awesome. Smell test: Nice oniony smell. Trivia: This bag cost only 69 cents  and it wasn't even on sale.